Nothing embodies summer quite like a long road trip. 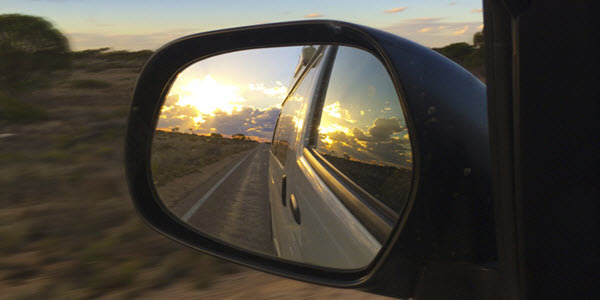 Whether it’s with family or friends, packing up the car and heading out on a road trip is a rite of passage. With those long trips in the hot summer months there are more and more drivers on the road and families on vacation can create far more traffic than usual so it’s important to stay more prepared and aware. 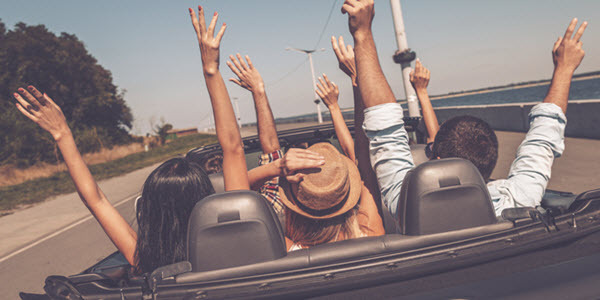 Here are some tried and true tips for staying safe on those long road trips in summer months. Prior to heading out on your trip, be sure to have your car serviced and inspected. It’s the perfect time to take care of that oil change or making sure your tires and alignment are up to the task of handling long drives. The hot roads can really take a toll on your tires and can lead to faster wear or even blowouts, so make sure to have yours checked before leaving on your trip to avoid an accident. Stocking your car with an emergency roadside kit is also a great way to stay prepared should something happen on the road. With so many things to do, it’s easy to make an oversight or miss something seemingly minor. Because of this, using checklists when it comes to vehicle inspections prior to trips can be a life savor. While things like the tires and oil are easy to remember, less obvious things like windshield wipers, headlights and the A/C system can be a little harder to remember so using a checklist to make sure that everything is addressed and running properly with your vehicle. There’s never a situation where checking your phone while driving is safe, but it’s even more dangerous during the summer. With so many families outside doing things like bike rides, paying closer attention to the road and knowing your surroundings becomes even more important than usual. Sharing the road with an extended amount of bicycles and motorcycles is essential in the summer months and will help keep you and other motorists safe. With schools out of session for summer months, there will be more teen drivers on the road. Teen drivers are less experienced and more prone to distracted driving so it’s important to stay observant and maintain a bit larger of a distance between cars when following or when coming to a stop. It’s important to always keep water with you on your drives as the excessive heat while in the car can lead to dehydration. It’s also crucial that you avoid leaving any children unattended in the car for any period of time. Even after just 10 minutes in 80-degree weather a car can heat up to dangerous and deadly temperatures. Children’s body temperatures can rise up to 3 times as fast as an adult’s and heatstroke can occur even in 57-degree weather. Long drives can be physically and mentally exhausting, especially during hot summer months. It’s important to make sure that you take turns driving if you begin to feel fatigued or are finding it hard to focus on the road. Taking regular breaks to stretch and rest your eyes will not only help break up the monotony of longer drives; it will also help reduce the chances for accidents involving you or other vehicles. Summer is a time for fun and excitement and long road trips are a big part of that. However, contrary to popular belief the summer is a common time for a high percentage of traffic accidents as more vehicles on the road along with more young and inexperienced drivers than usual can lead to more dangerous situations. By no means does that mean you should cancel your plans immediately, rather, it just makes it that much more important to make sure your vehicle is properly tuned and maintained and ready for the trip and to make sure that you know all the little things you can do to prepare and simple rules to follow while on the road to get the most out of your summer trip.